Current Vacancies Need help finding work? The National Lottery Community Fund is the largest funder of community activity in the UK. It puts people in the lead to improve their lives and communities, often through small local projects. Building Better Opportunities is funded by The National Lottery Community fund and ESF fund, it is a project designed to tackle poverty and promote social inclusion throughout Worcestershire, we are proud to tell you the story of Dan. BBO Job Coach, Laura, was introduced to Dan at an Autism Event in Worcester. After spending a short while talking with Dan’s mother, Laura felt that Dan would really benefit from the Building Better Opportunities programme so she invited them in to discuss this further and to induct Dan onto the programme. The first few sessions were extremely difficult for Dan as he suffers with severe anxiety due to his diagnosis of Autism and because of this, his social interactions were extremely limited. In order to support Dan with this and allow him to feel comfortable, they arranged to meet weekly and slowly start to build up a trusting working relationship. Dan slowly but surely began communicating, through body language to begin with and eventually through verbal communication too. It became apparent early on that Dan’s anxiety was sometimes uncontrollable and he would get extremely worked up before appointments as he wasn’t sure what to expect or whether he needed to bring anything with him. In order to help him manage this, his Job Coach would run through the content for the next appointment using a document that they had put together themselves. Slowly his anxieties lessened, enabling him to eventually become less reliant on the weekly planner. Prior to joining this programme, Dan had not engaged in any learning or employment and the only support he was receiving was from a support group in Bromsgrove. Dan is extremely intelligent; he left school with brilliant grades and has great potential, something which Laura spotted very early on. Following school, he began sixth form but soon realised that it wasn’t for him and took a turn for the worst and for some time was really struggling. However, Dan spent his days teaching himself the languages and coding to write computer programmes; this was and still to this day, is his passion. Laura worked with Dan to create a personalised action plan, focusing around his short and long-term goals in order to work towards achieving these together. One of the main short-term goals was to allow Dan to feel comfortable enough to attend sessions on his own; it was felt that this would enable Dan to become more independent and less reliant on his family. With support from Dan’s parents, he succeeded with this and began to build up trust with his Job Coach, Laura, agreeing to meet her weekly without one of his parents attending with him. Laura and Dan began meeting in a variety of places to build up his resilience and help him towards overcoming his social anxiety. Laura also supported Dan to feel more confident to access supermarkets and with his interaction toward unfamiliar people. Work was also carried out around understanding Dan’s Autism condition and recognising his behaviour and traits. Dan recognised how much he had avoided over the past few years and from this was able to motivate himself to face the things he had avoided; realising that the more he did something, the more his confidence grew with it and the more familiar and less scary it became. He pushed himself at every opportunity possible and with the support from his Job Coach, he achieved multiple goals. Another of Dan’s actions was to overcome his fear of public transport and be able to access this independently. Again, this was tackled with careful thought and planning. Laura initially supported Dan by going on the bus journeys with him and slowly managed to build Dan’s confidence to a point where he felt he could take a short bus trip on his own, with Laura meeting him the other end to carry out their meeting. He took this a step further by independently accessing public transport away from the sessions and again conquered his initial anxieties about this activity; enabling him to then continue accessing public transport on his own. Laura planned every session with careful thought, constantly thinking of ways to move Dan forward and this was proving very successful as time went on. His determination and willingness to move forward was a crucial part in his learning and progression. It was at a Jobs Fair that BBO Job Coach Laura, got talking to Steve Borwell-Fox (Founder and Chief Executive of Borwell). It was a general chat about what they could offer in terms of work experience opportunities for BBO participants turned into a reality for Dan. It was arranged for him to carry out a day’s work experience at the company. By this point Dan had been practicing using public transport independently and the week before his work experience, he did a practice run of the journey to ensure that he was comfortable making the trip. Laura attended Dan’s work experience day with him to support him and the day was a success. He was overwhelmed with his achievements and couldn’t believe that he had completed the day without any issues and this seemed to give Dan the motivation to keep going, knowing one day he would like to get involved in work like this. As the weeks passed, Laura continued to work with Dan, meeting weekly to support his social and communication skills. They began looking towards the prospect of Dan finding work in the future and started to do some work around job searches, research into apprenticeships and learning interview skills and preparation tips. In order to continue building Dan’s confidence and social skills, they discussed and arranged for Dan to carry out some volunteering at a local library. As well as this; following Dan’s successful work experience day, he agreed to attend and complete a week’s work experience with Borwell, so Laura arranged this for him. This time, Dan attended independently. Following this, Dan was certain this was the type of work he wanted to get involved in and during a review meeting with the manager at the end of his work experience week, he expressed his interests in working for this type of company in this role. 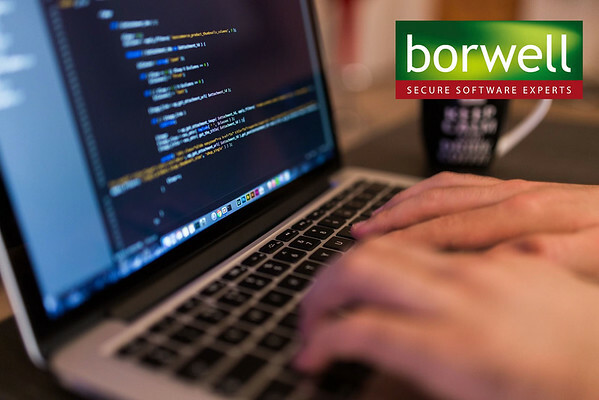 It was clear than Dan had made a good impression during the week he was there, so much so that he was offered and has accepted a Level 4 Software Apprenticeship with Borwell. Steve has been a great support for Dan and allowed him the opportunity to succeed within his company. Dan began working for the company and is thoroughly enjoying his new role. He has commented: “With support from Laura, I have been able to build my confidence and become more independent. I feel that the support I have received through Vestia, and the continuing support at Borwell during my work experience and since starting my apprenticeship has provided me with the ability and opportunity to hone my skills and excel in an environment working alongside like-minded people”. If you or anyone you know would benefit from the support of a dedicated Job Coach who will work with you to build on your own strengths and abilities to gain the confidence and skills to move into work, please get in touch now, we are waiting to hear from you. Call 01562 733133 or email jobscoach@vestia.org.uk. © 2000-2019 Vestia Community Trust. All rights reserved.